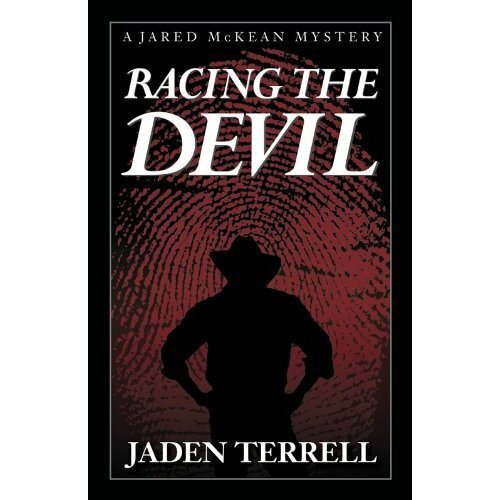 Racing the Devil is the first of the Jared McKean mystery series written by Nashville native, Jaden Terrell. 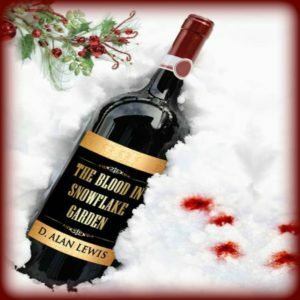 It is a top-notch PI novel that drops a former cop turned private investigator in to a nightmare that few would have the ability to escape from. killer. Thing is, McKean isn’t the type of man to go down without a fight. The characters, especially McKean were well rounded and believable. The plot has enough twists to keep the reader’s attention and the description of Nashville made you feel as if you were riding through the city. But almost as important to the read as the murder and frame-job, was McKean’s family life with really brought a since of humanity to the nightmare he was embroiled within. 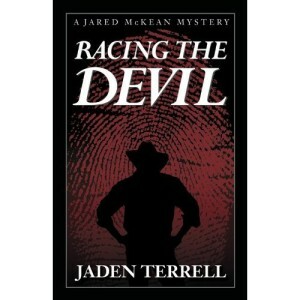 Ms. Terrell’s first outing with Jared McKean is certainly a must read. 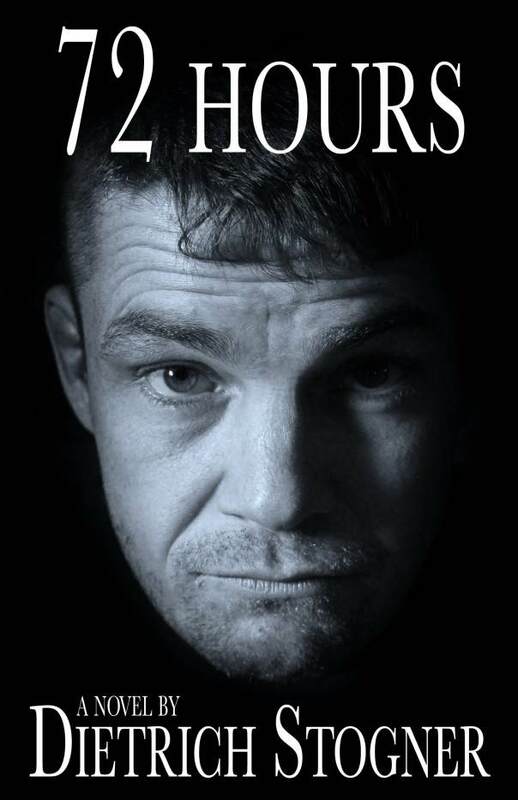 Dietrich Stogner’s debut novel, 72 Hours is a great example of modern day noir. Filled with action, a fast paced but understandable plot and well-round characters, the story moves the reader through the darker side of Nashville in search of a teenage runaway. Michael Whiting and Dave Lopez are a pair of ex-Navy nukes who have little in the way of direction or purpose in their post-military life. But when the daughter of Lopez’s neighbor disappears, the men decide to conduct a half-hearted search for the runaway. But when their questioning leads to an attempt on their lives, they dive in to the investigation full fury. Whiting and Lopez face challenge after challenge as the case spirals down, forcing them to make decisions they never thought would be necessary. Twist and turns keep them guess who is really on their side and who the real enemy is. Stogner really brings his characters life with believable and real to life dialog. The settings are well described and make someone feel like they are traveling throughout the Music City. 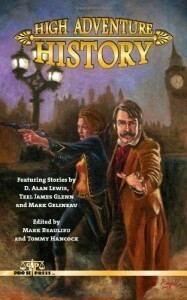 The story has many laugh-out-loud moments along with action that draws you in and won’t let you put the book down. 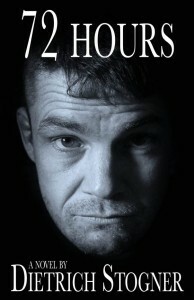 72 Hours is a great read! High Fantasy Noir maybe an accurate way of describing Alex Bledsoe’s third installment in the Eddie LaCrosse saga, Dark Jenny. Eddie LaCrosse is a self described ‘Sword Jockey’. A former mercenary turned P.I (albeit middle-ages style), Eddie is hired to check up on a nobleman suspected of adultery. A turn of events however has our wise-cracking hero at the pointy end of a sword, manacles on his wrists and a lot of people calling for his execution. At a reception for Queen Jennifer Drake, a murder is committed with Eddie and the Queen herself as the prime suspects. With his life at stake, Eddie jumps into the investigation determined to clear his own name and bring the killer to justice. But immediately, he finds this is not a clear cut act of murder but a more involved political gambit to discredit the Queen and the throne. 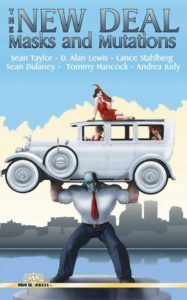 Bledsoe weaves a wonderful tale of political intrigue, action and the right amount of humor. Drawing loosely on the legend of King Arthur and the Knights of the Roundtable, the story unfolds with some familiarity and plenty of surprising changes, twists and characters that keep you guessing until the very end. 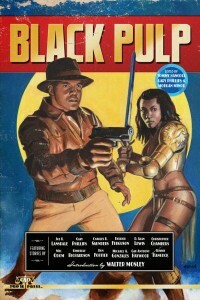 The dialog is witty, the action scenes are fast and well placed, and the characters leave you wanting for more. This book, even though the third in the LaCrosse series easily stands alone. 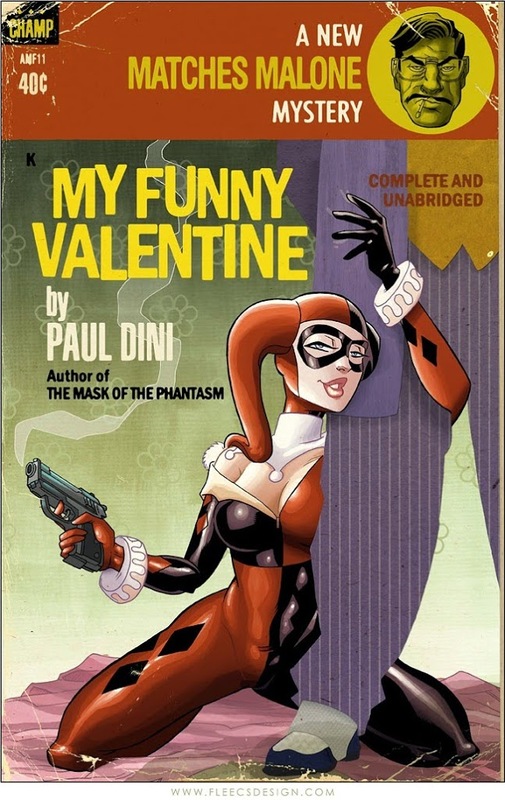 Dark Jenny is the perfect crossover for both lovers of the classic hardboiled detective novels of Micky Spillane as well as those who love the high adventure styling found within the Arthurian legends. I give it 4 ½ stars. 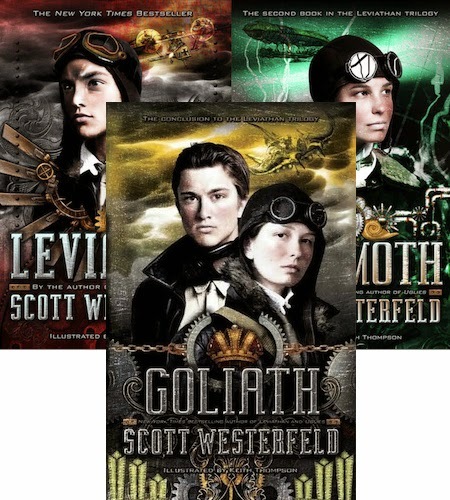 Leviathan is the opening salvo in Scott Westerfeld’s trilogy which explores the trials and terrors of World War 1, only with an alternate Steampunk history and style. 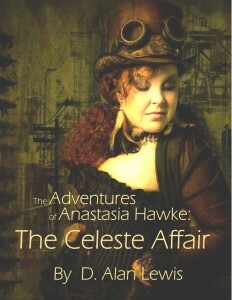 The novel focuses on the adventures of Prince Aleksander Ferdinand, son of Archduke Franz Ferdinand, and Deryn Sharp, a British girl posing as a boy in order to serve in the Royal Air Navy. Switzerland. Meanwhile in England, a fifteen year old girl named Deryn changes her name to Dylan and signs up for the Royal Air Navy. 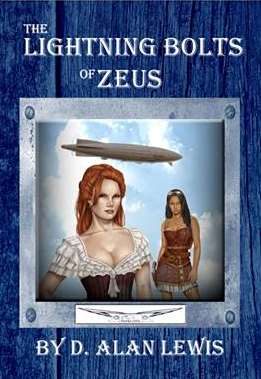 As the result of a mishap in a training, she finds herself stuck on board the giant, living airship, Leviathan. Events converge and the teens end up meeting on a Swiss glacier. creatures to serve ever purpose, from messenger lizards to the giant floating whale which is in fact, their airships. The Germans and Austrians are Clankers. Their use of mechanical devices has advanced to the point that airships, aircraft and giant walking monstrosities, bristling with guns and cannons are common place. As we progress from Leviathan to Behemoth and finally to Goliath, we see the pair growing closer while soaring around the globe on board the massive airship. 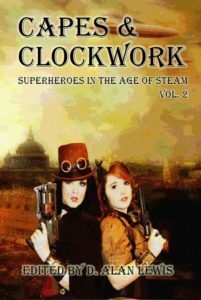 The novels are punctuated with great action, outstanding characters and a rich, well described world. The mash-up of real events and historical characters with the fictional world of Alek & Deryn is brilliantly executed and leaves us longing for the next book in the series to see what path Mr. Westerfeld will take us down. 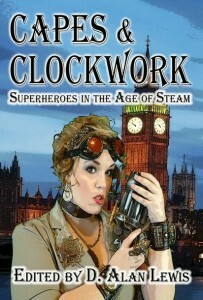 This is a great start and a must for steampunk fans. 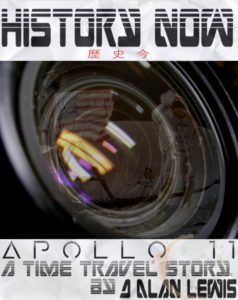 Although billed as a young adult series, this book is great for folks of all ages. 5 Stars for each from Alan. Reviews are coming… Prepare yourselves. When I first started my website, I was told that the best way to get views was to post book reviews. I did a few, but just didn’t keep up with it. Well, with all the good stuff I’ve been reading lately, I think I’m going to start back up. SO… the plan is to post 2 or 3 a week until I feel like I’m caught up. Prepare yourself for the onslaught.